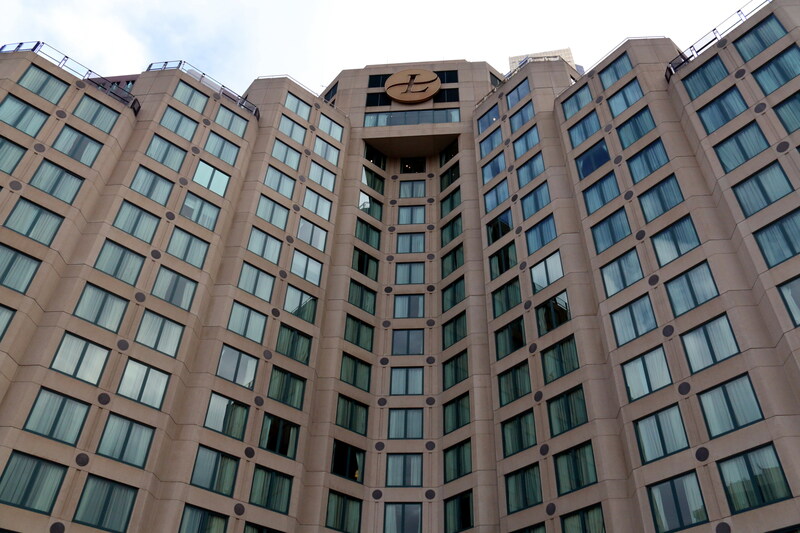 For the entire week, I was anxiously awaiting my stay at the 5 star luxury hotel “The Langham Melbourne”. As we drove up to the valet parking and were welcomed by the parking attendant who was immaculately dressed in his top hat and suit, first impressions suggested that we were in for a wonderful stay. The smell as you walk into the hotel is absolutely amazing. I can only describe it as smelling like a freshly run bubble bath. 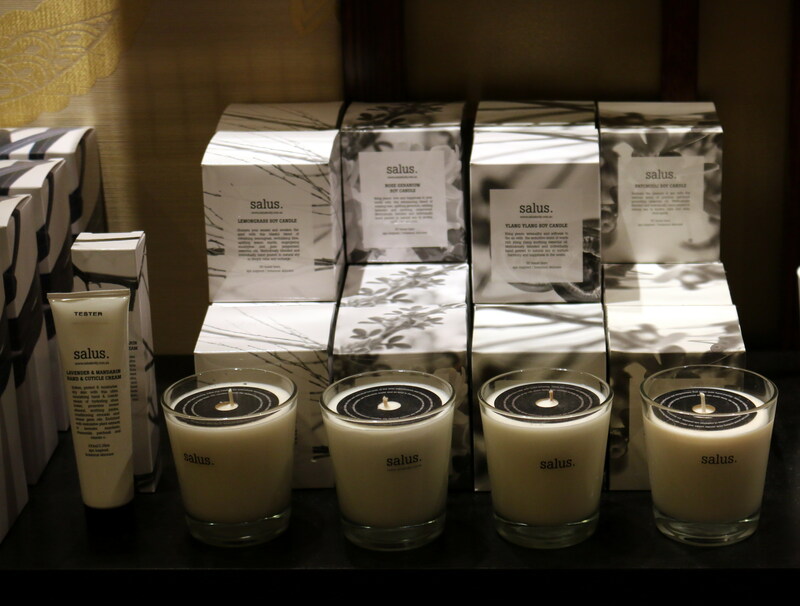 When I inquired as to the source of the delicious smell, I was informed by the Public Relations Manager that the aroma is Ginger Flower and is a welcoming scent common to the Langham Hotels all around the World. The check in service was very professional and they didn’t keep you waiting long at all. They were very well spoken and gave in great detail a rundown of the hotel, facilities and local attractions and the must see-s in the nearby area. I couldn’t wait to enter into our Grand River Room and put away our luggage that the porter promptly brought up for us. The room was well appointed with modern and comfortable furniture and fittings. 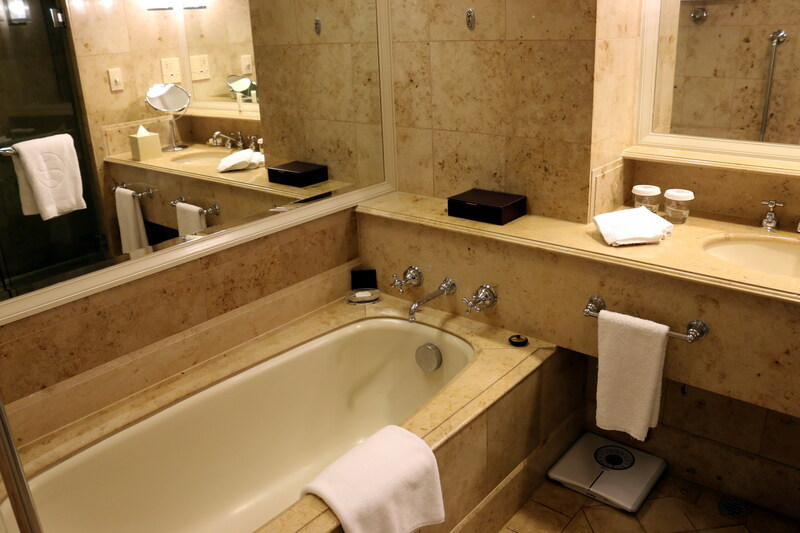 Some of the amazing amenities in the room were the 42 inch LCD TV, air conditioning, full stocked mini bar, tea and coffee facilities, slippers, deluxe bathrobe, and a beautiful marble bathroom with separate shower and bath. The bathroom products were very luxurious with the soap and cream from Chuan Spa. One to take home for sure! 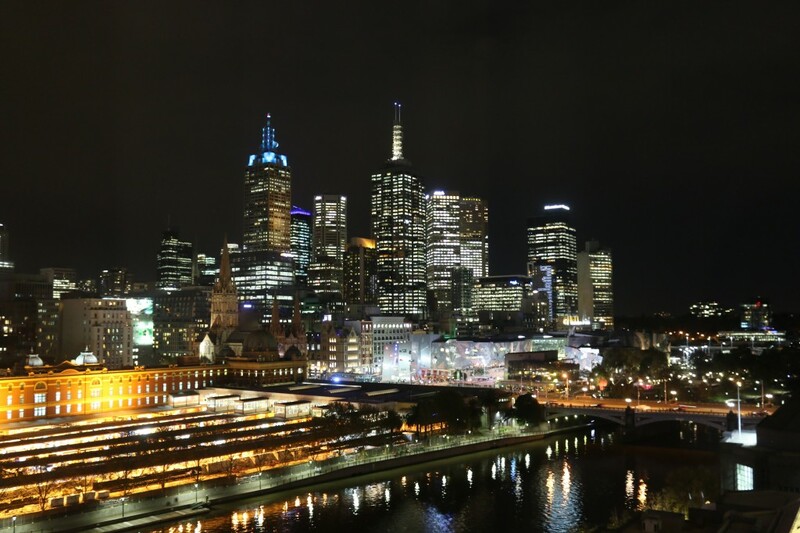 To cap it all off, the room had the most breathtaking views of the Melbourne City skyline. 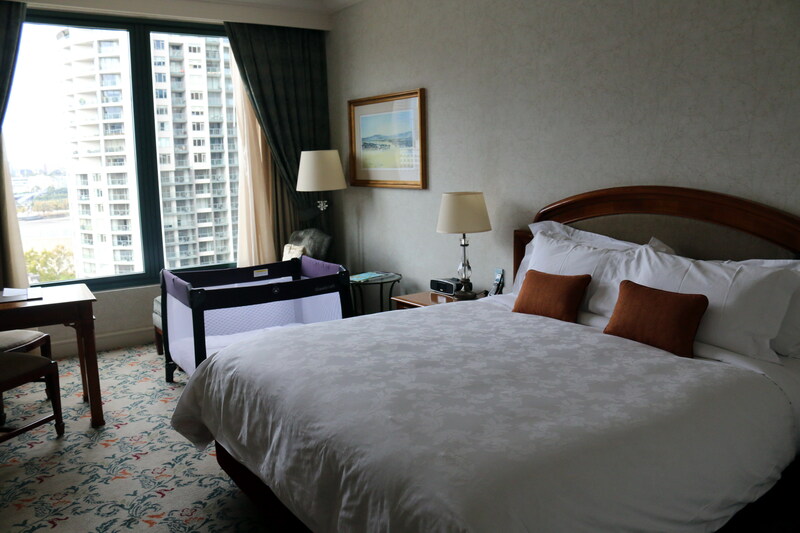 As we have a young daughter, I was very thankful with the complimentary port a cot that was waiting in our room. The port a cot was very well presented and had the turn-down service too. 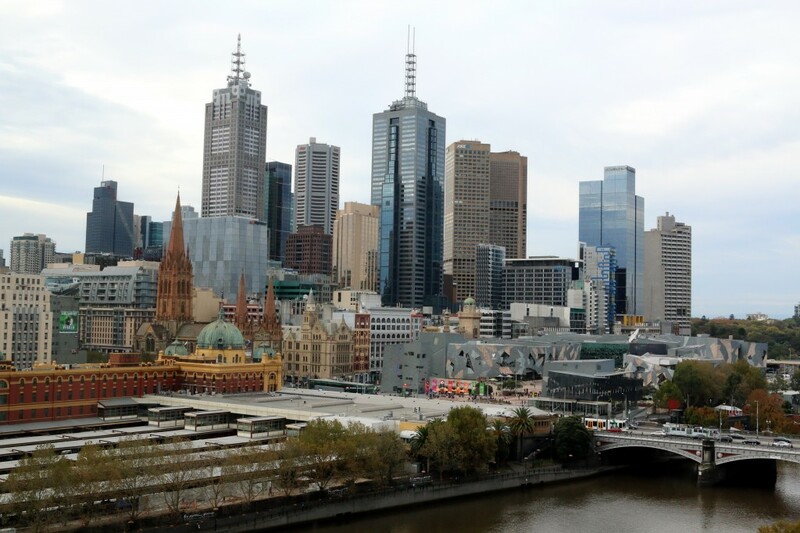 After pulling ourselves away from the Langham’s amazing Melbourne city views, we got around to unpacking our luggage in to their larger than expected closets. The next thing to catch our eye was the King size bed. It honestly had to be one of the most comfortable beds that I have ever laid on, and the pillows… just divine, like soft marsh mellows melting into a hot chocolate. Okay, so I have dropped the luggage and had a quick lay on the bed, now time to go and check out what The Langham’s signature restaurant has to offer. The signature restaurant of Langham Melbourne is called Melba Restaurant and is named after Melbourne’s world famous opera performer, Dame Nellie Melba. The restaurant is just beautiful. They have several cooking stations with a variety of different cuisines. I started at the Sushi and Seaford Station which had an abundance of seafood including the Atlantic salmon and King Prawns. I then made my way to the Tandoori Oven & Spice Kitchen. They had a couple of beautiful smelling curries and my favorite part was watching the chef cook freshly to order your Naan bread. 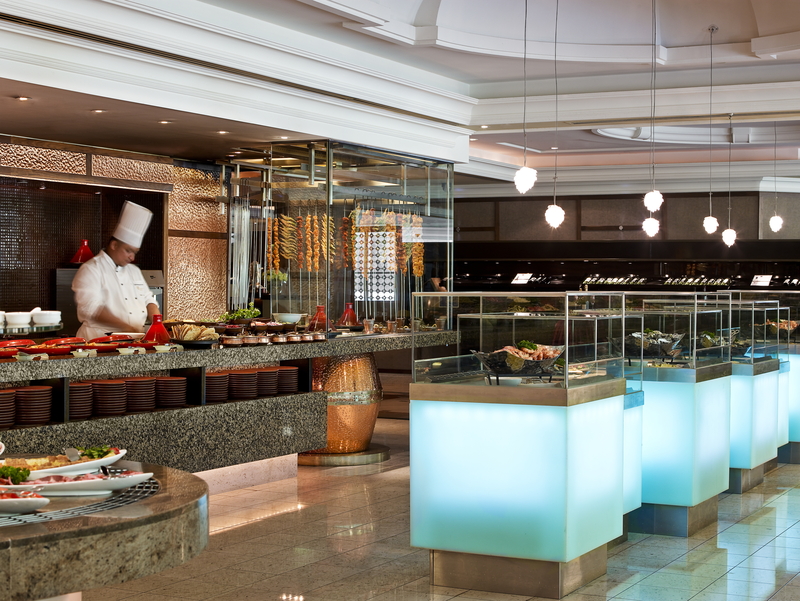 They also have the Asian Wok Station, the Pasta & Risotto Station, the Carving Station and the Salad Station. After my entrée and main meal were finished, I sat back for a moment whilst looking out onto the beautiful picturesque Melbourne City. After having a short break so my food could settle, I was contemplating which dessert I would start with first. The Dessert Bar has a generous selection of mini cakes, a delicious chocolate fountain with fresh fruit and marshmallows and a great variety of different cheeses and biscuits. Saturday $105.90 pp from 8.30pm till late. Next on our list was to visit the swimming pool and Chuan Spa. 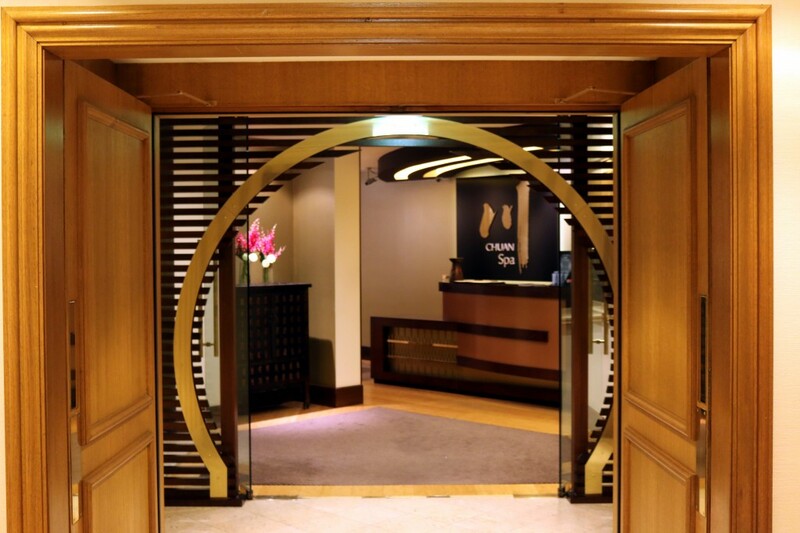 Chuan Spa is a must do on the list while staying at The Langham. Chuan Spa is “based upon the principles of Yin and Yang and the five essential elements, treatments are personalised to realign your body, mind and spirit”. Their endless menu has something to cater for everyone. Please check out their website www.chuanspa.com.au. 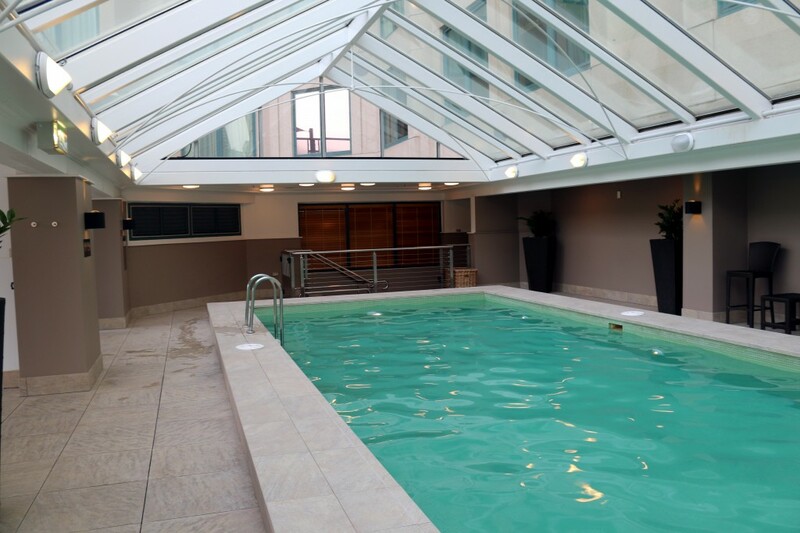 The swimming pool area is through the doors of Chaun Spa. It’s a very peaceful and laid back feeling as you walk through. 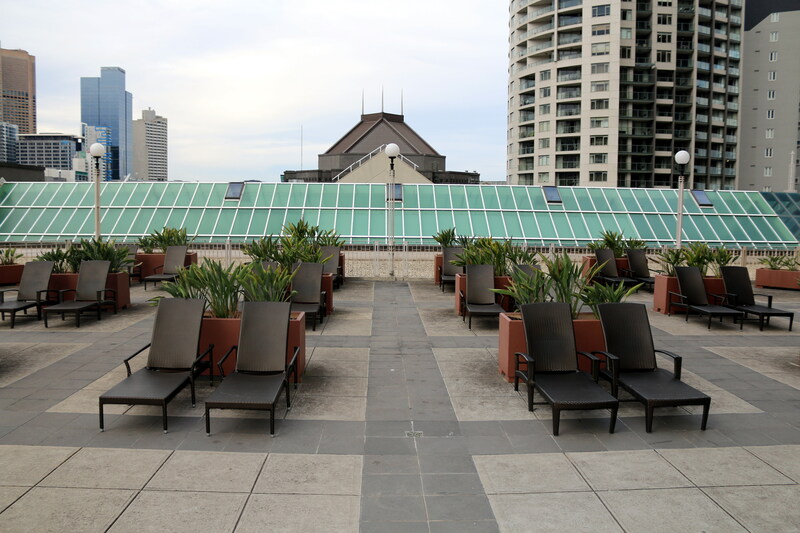 The swimming pool area is not just fantastic for a quick swim in the 15 meter lap pool but also a good spot to just sit in the heated spa and take in the beautiful views of Melbourne. Ahh this is the life.. Aria Bar and Lounge is a great location to sit back with a fine wine or a cocktail and catch up on the day. Aria Bar is also famous for it’s Tiffin (High Tea). $54 pp February through June 2014 excluding public holidays. For more information about ARIA bar & lounge, please visit our website at www.melbarestaurant.com.au/aria. Alternatively you can call 1800 641 107 and email rest.res@langhamhotels.com. 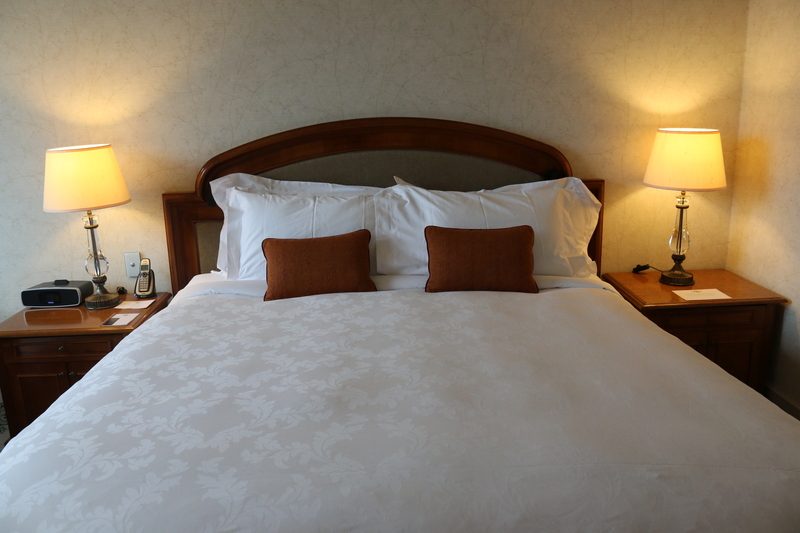 When we returned to our room after a wonderful day, I was pleasantly surprised that our room had the turn-down service. The lavish sheets had been turned down and a small towel and slippers had been placed on the floor next to the bed. Our complimentary bottles of water had be replenished and placed on the bedside table. All in all I had a wonderful stay at The Langham Melbourne. It is truly a luxury 5 star hotel which just overflows luxury and quality in every fine detail of not just the hotel but the experience. 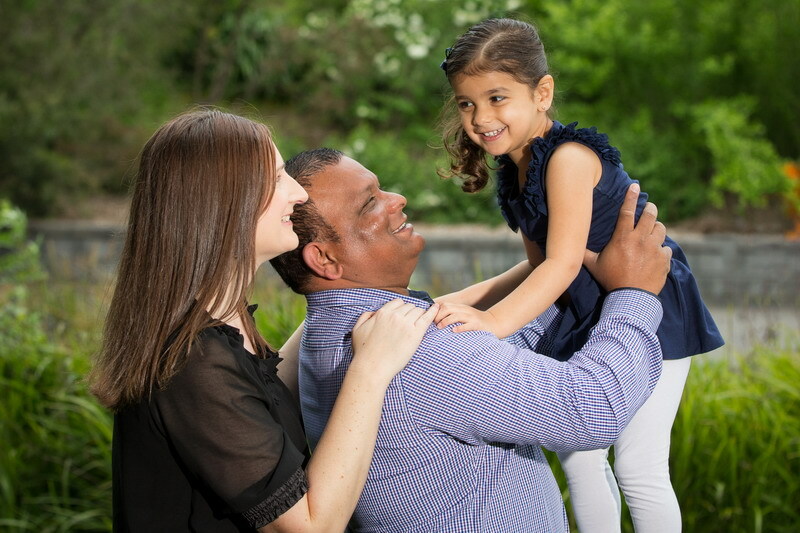 The service was impeccable from the moment that we arrived to the time of our departure. I tried hard to find a fault or something that just didn’t appeal to me, but all I could come up with was the unfortunate Melbourne rainy weather. 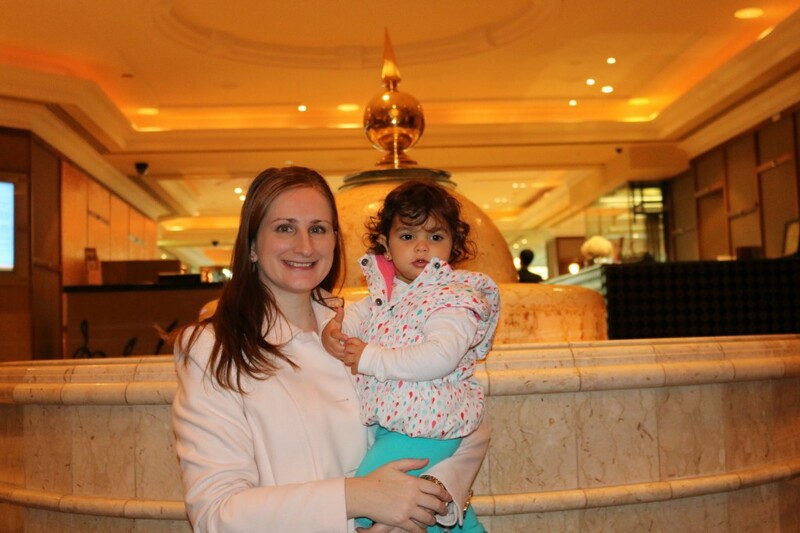 I look forward to coming back to The Langham Melbourne and having another fabulous weekend away. 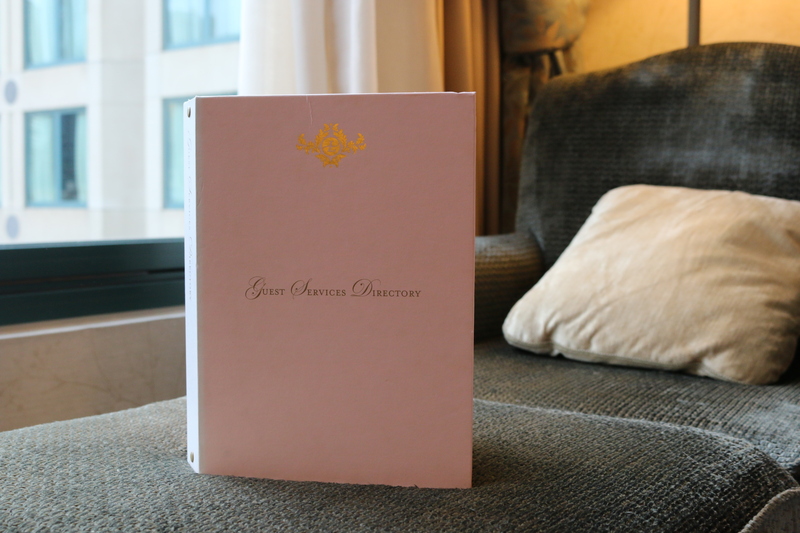 Average Room Rates for the Grand River Room start from approximately $320 per night, depending on availability and season. 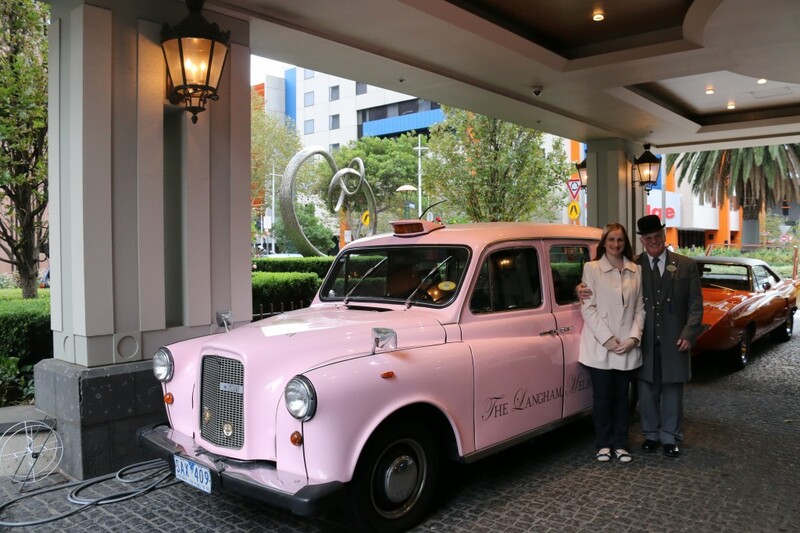 The Langham Melbourne hosted my stay and my opinion is definitely my own.